Colorado State University-Pueblo sits in the shadow of the Rocky Mountains in the American West. In one of the dorms, a 21-year-old student has placed a large England flag on one of his bedroom walls and Tottenham Hotspur posters on the other. Football was his first love, but he is now showing an incredible talent for middle-distance running and is currently the fastest British 800m runner of 2019. The athlete’s name is Thomas Staines and he clocked 1:46.27 indoors in Michigan in February. It is faster than Jamie Webb, Guy Learmonth, Joseph Reid and Elliot Giles have run this year and it is not a one-off, either. 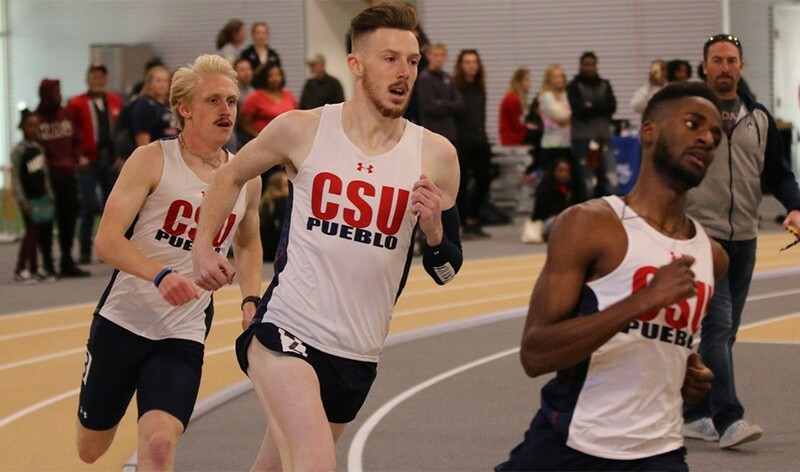 Also in February, Staines ran a UK indoor 600m record of 75.31 at altitude in Albuquerque – breaking Kyle Langford’s national mark of 76.10 – and last month he wrapped up his indoor season by winning the NCAA indoor division two 800m title by a clear second in Pittsburg, Kansas. Given this, surely he should have been running at the European Indoor Championships in Glasgow? Staines studies automotive industry management and works at a Land Rover and Jaguar dealership. 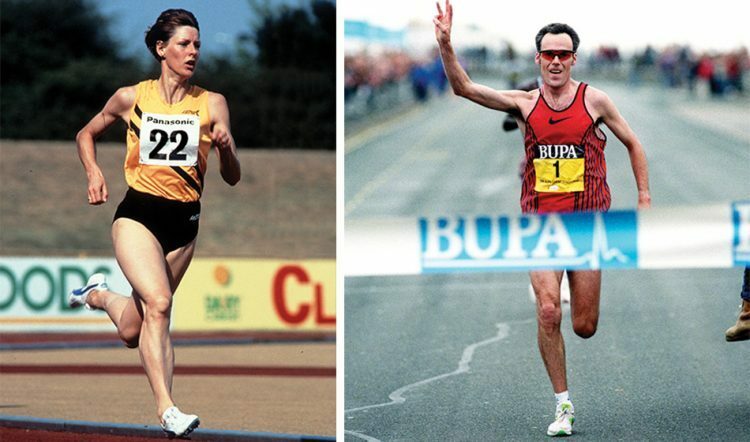 Of more interest to readers of AW, though, is that he is the son of Gary and Linda Staines – two of Britain’s finest athletes during the 1980s and 1990s. Gary ran a 3:53 mile, 13:14 for 5000m, 27:48 for 10,000m and 2:11:25 for the marathon during a career that also saw him win 5000m silver at the 1990 European Championships behind Salvatore Antibo of Italy. Linda, meanwhile, ran 50.98 for 400m racing under her maiden name of Keough – a time that still places her No.14 on the UK all-time rankings – and she won a number of national titles plus Commonwealth silver behind Fatima Yusuf of Nigeria in 1990, whereas as a relay runner she was part of a British record-breaking team and won two Commonwealth titles. Linda and Gary both represented Britain in the 1988 Olympics in Seoul, too, so for the young Staines to have inherited ability at a distance which is in the middle of his parents’ specialist events “makes perfect sense,” he says. Born in Epsom, Surrey, on February 22, 1998, Staines moved to the United States when he was four years old. In 2005 the family started to run the Runners Roost store in Colorado Springs and have stayed in the area ever since. As a youngster, Staines was mainly attracted to football and his natural speed and stamina on the flanks led to him being picked for an Olympic development programme. Being the son of such talented athletes, though, meant that he could not out-run his fate forever and perhaps inevitably he began to show the kind of ability that could one day propel him to an Olympic Games as well. Staines reckons his fledgling running career began only three-and-a-half years ago. “It started because my coach at high school asked me if I wanted to go with the cross-country team to Arizona,” he remembers. “I’d just got done with my worst football season and a lot of my friends were on the cross-country team. I thought the trip sounded great but I didn’t think he meant ‘go run a 5km in Arizona’. I thought he meant that we were just going to Arizona for a trip! “So a week passed and he found me in the food courtyard and asked me ‘why haven’t you been coming to practise?’ I asked, ‘why would I come to practise?’ He said, ‘because we’re running a 5km in Arizona’. I thought ‘crap, I’ve roped myself into this and now I have to do it’. At close to 6ft 5in tall, it means Staines’ stride eats up the ground and he has so far powered his way to a number of impressive wins on the US collegiate circuit. In 2017 he ran 1:50.39 for 800m but last year he improved to 1:45.57 – a time that placed him seventh on the UK rankings for 2018. “I’ve only been ‘good’ for about one year,” he says. “When I was 18 I’d never broken 1:50 and my best was about 1:50.2. But it got me into an NCAA event. I didn’t make the final and finished about 14th indoors and 12th outdoors and I was really disappointed I didn’t make the finals. I didn’t want that feeling again. “I had my wisdom teeth taken out over the Christmas period last year so I couldn’t run for two weeks and I was scared that I had an 800m in February and was worried I wouldn’t be fit. So I buckled down and worked really hard and in my first 800m I ran 1:47 after going through in 56 (indoors). So all of a sudden I ran a top 20 time in the world. Staines reckons his improved PBs mean he’s likely to get invitations to some better races, too. Running at Stanford in the early season period is an option, for example, and he has an eye already on UKA’s 800m qualifying standard of 1:45.80. You have a feeling that could change this summer.